Hi y'all! Today I have an interview about Seco Creek Vigilance Committee with Keith Stetson! 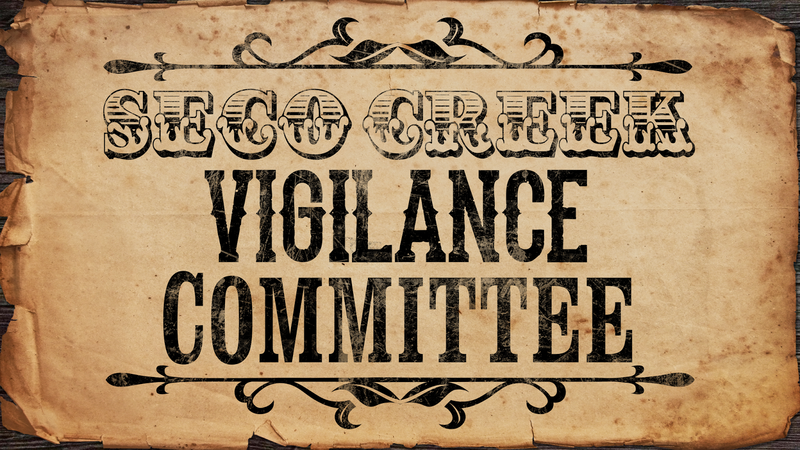 Seco Creek Vigilance Committee is currently on Kickstarter and sounds like a really fun time! 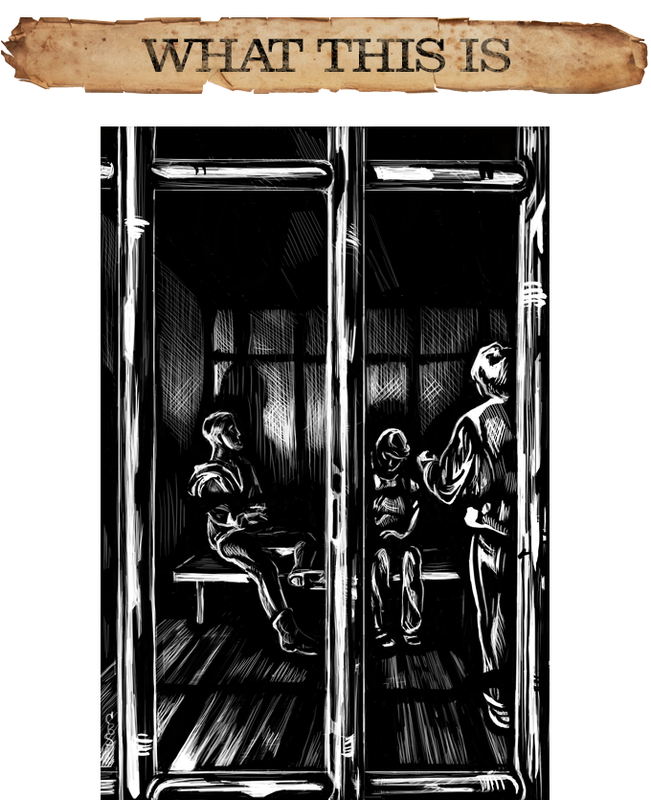 It's a one-shot length, western themed game. Check out Keith's responses below! 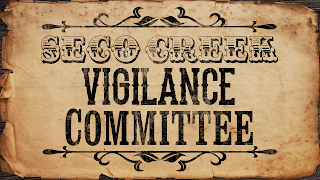 Tell me a little about Seco Creek Vigilance Committee. What excites you about it? 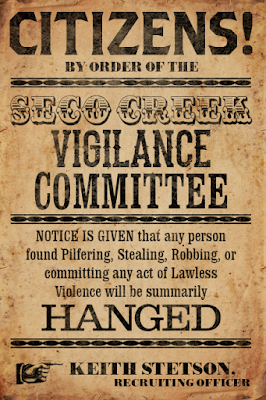 Seco Creek Vigilance Committee is a Western RPG about justice, law, revenge, and the discrepancy between what is right and what is good. It's designed for intense, one-shot play with a non-random resolution system that emphasizes choices and their consequences. It's not focused on if the characters can do something, but rather on what they're willing to endure to do it. The thing that really excites me about Seco Creek is how the situation balances on the knife edge. There are no easy answers and there are no right answers. In the shifting landscape of moral ambiguities every action has a reaction that pushes back against what the character thinks they believe and they want. 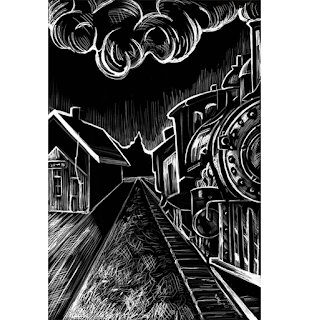 Everyone has to find their own path through the fraught situation. I've run the game dozens of times; it rarely ends well, but it never ends the same way twice. What inspired the Favor mechanic, and what kind of responses does it provide in game, especially in the one-shot format? The whole design has migrated a lot as I fine tuned it to get what I wanted. Originally it was a more-or-less straightforward Lady Blackbird hack, but that lacked tools for the needed social interactions with NPCs. At the time (and at this time, too) I was fascinated with Avery Alder's mechanics for Dream Askew, especially how you control the economy of chips by how strong a move you make. That translated into the idea of If you bow to a Faction you get a chip, but if you force them to bow to you you lose one. But just causing a Faction to do something didn't make sense as always losing a chip. If the Townsfolk like me and I offer to buy the next round, "spending" a chip of Favor and becoming less popular didn't make sense. Players generally approach Favor in one of two ways. The first type grabs onto it as a way to amass power and directs their actions to gather Favor with as many Factions as possible. 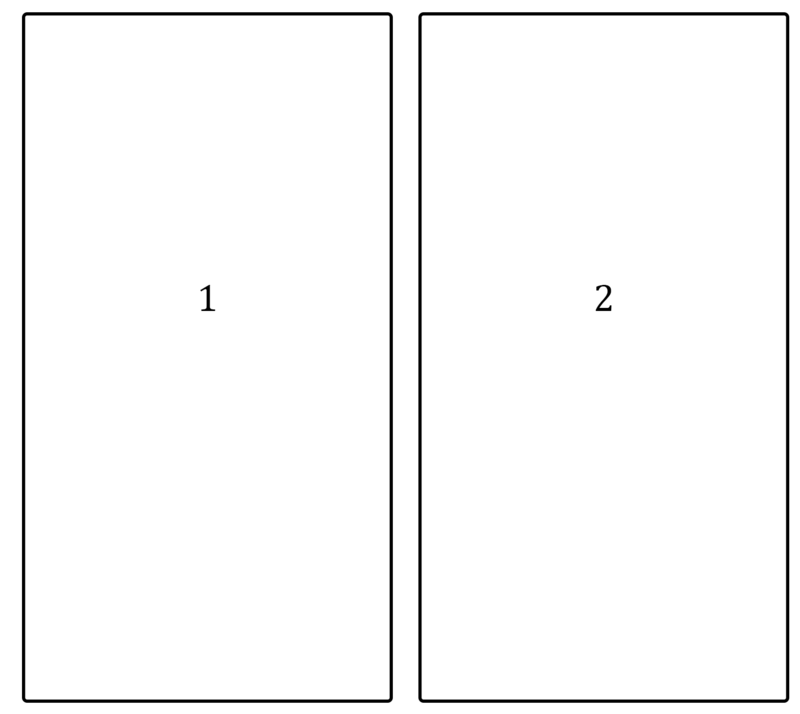 The second type does whatever they think is in keeping with their character's nature and lets the Favor show how the world is reacting. Both are totally valid ways to play. Seco Creek being a one shot means folks are less cautious about losing Favor and harvesting enmity from Factions. There is no tomorrow, so they go all in today. Conversely it means that if you're sitting on a fat stack at the end of play, your character's epilogue is looking pretty sweet. How has Negotiation played out in game - how does it work mechanically, and how have players reacted to the level of control? One of the unintentional features of Seco Creek that I love is its modularity. You can play an entire, satisfying game of it without ever engaging in certain mechanics. Negotiation is one of those. If you never take an action upon another player's character, you never need to use it. I want to stop you from leaving the room, I want to knock the gun from your hand, I want to punch you in that ugly mug of yours. Alright, I don't leave the room, but as I stride towards you, you flinch and everyone sees it. The Townsfolk no longer think you can keep them safe, and you lose a Favor with them. Plus, you get labeled a coward. If the acting player agrees, everything stated occurs. If not, the players go back and forth until they can establish terms. If they can't, the Judge (the GM role) decides the situation, most often to no one's liking. This works really well for most players, because if your character wants something bad enough, they can nearly always get it; you just have to be willing to pay the price. 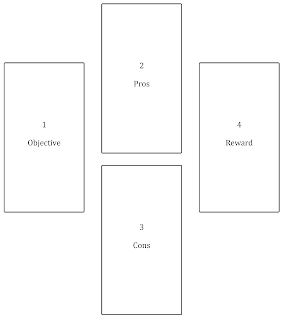 It gives you a similar level of control as Fate Points do, but what you're spending is narrative positioning. Where are you willing to be weak so you can be strong here? And again we see a version of Avery's Dream Askew mechanic popping up. Is that a callout to 3:10 to Yuma I see in that initial descriptive text image? 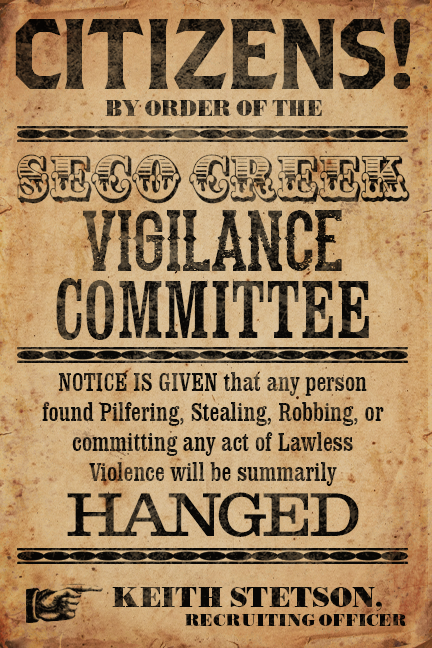 What are the inspirations for Seco Creek Vigilance Committee - movies, books, other games? Well, you caught the reference to 3:10 to Yuma, so that's the first one! ;) There are also a handful of nods to tons of other classic Westerns. Game wise we've already talked about Lady Blackbird and Dream Askew, but another big influence was Apocalypse World - particularly the phrase "tell them the consequences and ask." That's basically both the Favor and Negotiation mechanics boiled down to a single phrase. Why a one-shot? What about this format really appeals to you and makes the game shine? Like a lot of folks, one of the first indie games I ever played was Fiasco. Its one-shot nature made it so you could use your character hard and not worry about next week. 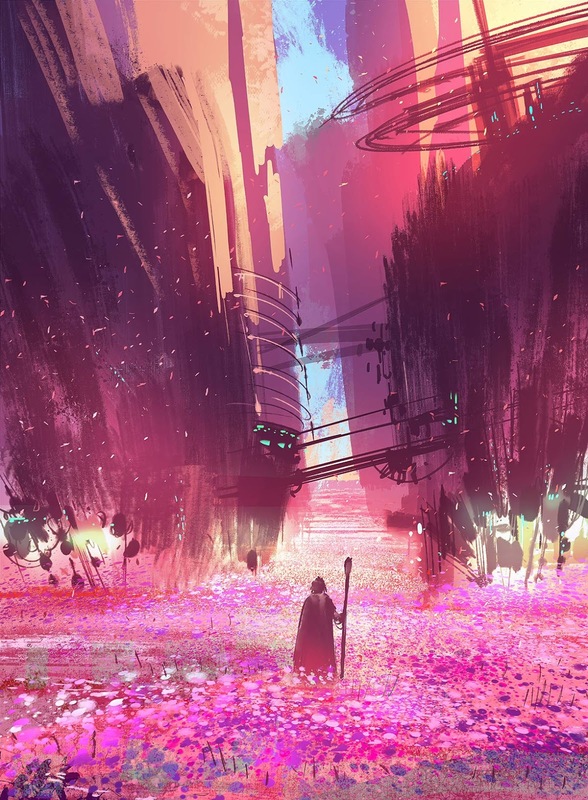 Making Seco Creek a one-shot gives the players that same feeling; the characters are already prepared to go all in, and now you have permission to do so, as well. Seco Creek's rules are also designed to cause the character arc you might see in a campaign to be compressed down into one session. It's a distillation of all the drama, tension and transformation. 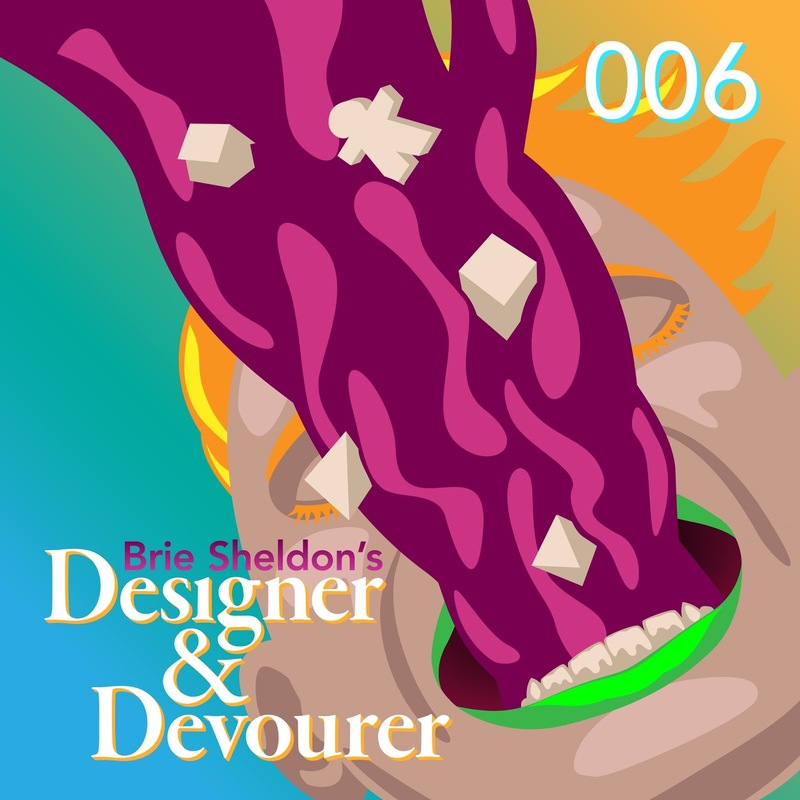 Designer & Devourer Episode 6 on Patreon! 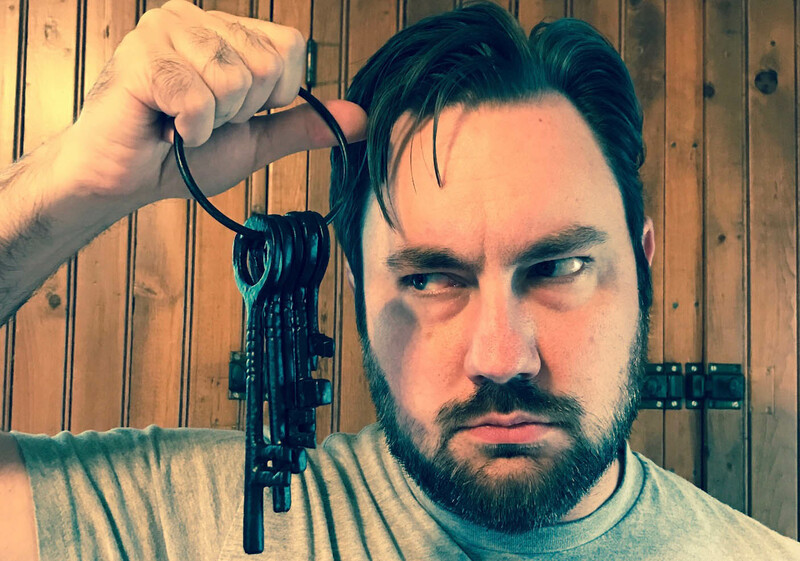 I'm gonna try to catch all of the recent posts here after the recipe, but first, upcoming is an interview with Keith Stetson on Seco Creek Vigilance Committee, currently on Kickstarter. I also am working on an interview with Jack Berberette about his project for a Braille printer for gamers, currently on GoFundMe. 1. Move oven rack to low position so that tops of pans will be in center of oven. Heat oven to 350°F. Grease bottoms only of 2 (8x4-inch) loaf pans or 1 (9x5-inch) loaf pan with shortening or cooking spray. 2. In large bowl, stir zucchini, sugar, oil, vanilla and eggs until well mixed. Stir in remaining ingredients except nuts and raisins. Stir in nuts and raisins. Divide batter evenly between 8-inch pans or pour into 9-inch pan. 3. Bake 8-inch loaves 50 to 60 minutes, 9-inch loaf 1 hour 10 minutes to 1 hour 20 minutes, or until toothpick inserted in center comes out clean. Cool in pans on cooling rack 10 minutes. 4. Loosen sides of loaves from pans; remove from pans and place top side up on cooling rack. Cool completely, about 2 hours, before slicing. Wrap tightly and store at room temperature up to 4 days, or refrigerate up to 10 days. Yes, you, the one with a recognizable name! Or you, who has a bunch of followers on social media! Oh how about you, with the style and character that everyone thinks is super cool? Even you, my guy, who just talks a lot. I'm going to tell tell you something awesome that is also pretty awful. When you talk, people listen. Boom. Well, we know who matters now, don't we? And this is not just a mention of your feelings or what your personal preference. Often, it's law. This is how games work! You can't use those words to define something in your game because he said they meant something different 15 years ago. And like, guys. I love you. I think so many of you are freaking awesome. Some of you are close friends, and I trust some with things that women and NB people I know have never heard. I respect your opinions and we often agree. But when I disagree with you, or I just have a perspective that is different, I know I can get shut down with the mention of that social media post you made five years ago when you were bored on a Sunday afternoon. Your words, when it comes to thoughts about games, are often not just your personal thoughts shared with the public that will only be referenced as your feels, man. And no, this is not only men and not all men but it is way more than you think and way more likely that it's you than you think. Learn to preface your opinions. Respect those who know the subject. If you choose to speak your mind about something outside your expertise, or even within your expertise, don't be a jerk when someone disagrees with you or corrects you. I totally understand feeling a bit defensive but don't treat them like an idiot, understand that they may know better than you or simply have a different opinion that is also valid, and don't let anyone supporting you go after them either. Respect those who are impacted by your opinions. 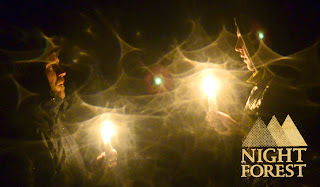 If you're going to say that Nordic larps are fundamentally not games, remember that people are still making and playing those larps and deserve human respect. That means not letting your buddies pile on your trash things with personal attacks or even just misguided points of view. If your criticism could impact people financially, think it through damn hard. Real damn hard. We all have our opinions and it's cool to share them but sometimes, there's a real value in the act of shush. 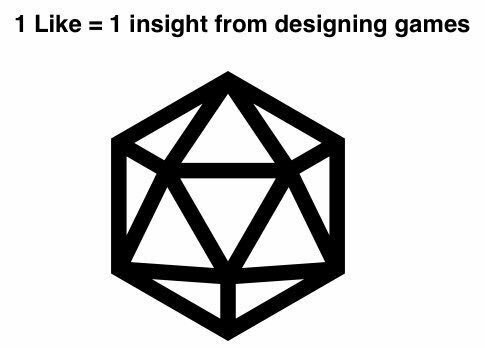 I can't offer deep insight on how early D&D mechanics influence Dungeon World, so I don't (I have no idea if they do). Maybe if you are a man who has strong financial security and has good education, and access to lots of resources, you shouldn't say that there's no way people couldn't afford games and that implying that anyone who can't get the money together is irresponsible. Sometimes...shush. And like, guys, I still want to hear from you. I love your thoughts. I learn from them and share them a lot. 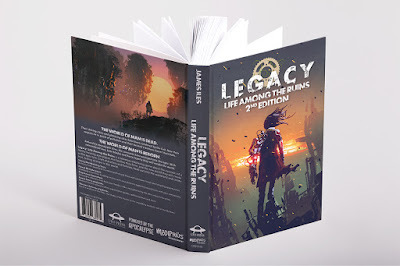 Today I've got an interview with James Iles on Legacy: Life Among the Ruins 2nd Edition. It's currently on Kickstarter and I'm pretty amped about it! James had a lot of cool stuff to say about it and oh, my god, this art! There's a quickstart here, btw. Check the responses out below! Tell me a little about Legacy: Life Among the Ruins. What excites you about it? Legacy's about how people keep going after the world ends. It's about the new communities and ways of living that spring up in a comprehensively changed land, and how people and societies evolve to adapt to the new environment. It's a post-apocalyptic game that lets each group of players create an amazing world and then ruin it in a unique way. Then you dive into gameplay, with each player's family of survivors dealing with the trials of surviving among the old world's ruins while sending agents out into the wasteland to explore, make friends, and find the resources their family need to prosper. Your game zooms in to the drama of a few explorers scavenging for exotic technology in a flooded city, and zooms out to explore how a family seizes control of a town over the course of a few weeks. The game's also episodic: the group can decide to draw a line under the current point in history, and move the clock forward some significant chunk of time - a year, a decade, or even a century according to the group's taste. Then you tell the story of how the world changed over that time, how each player's family has changed, and start exploring this new age. This gets at what really excites me about Legacy - the family is your fixed point as you travel further and further into the future, and you get to explore how they change over the generations, how they change the world around them, and explore how this new culture takes form in the post-apocalypse. 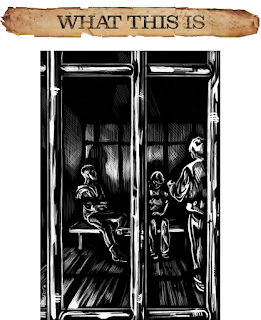 What inspired you to make a game about families, especially a post-apocalyptic story? Legacy started with the idea of taking a group far into the future over generations and seeing how they changed and grew over time. I was inspired by the Civilization series of games but thought that a tabletop RPG wanted to focus on a finer scale than nations and countries. At the same time, Quinn Murphy was talking a lot about the importance of community and how games often ignore it. These came together into the idea of families - dynasties that'd be your constant across the ages. I could have called them factions, or guilds, but I thought family was the best term for the ties between them. I wanted that feeling of belonging, of bonds that went beyond friendship and fealty. The post-apocalyptic theme came partly from wanting groups to start with a blank slate and expand outwards in whatever direction they liked, and partly because the post-apocalyptic games I'd been playing at the time - Tribe8 and Fallout - had a pretty big emphasis on forming new communities to face the wasteland together. Tell me about the setting and themes of Legacy. What will we recognize? What do you think will feel new or unusual for players? Legacy's a game about exploration, adaptation and evolution. My day job's an ecologist and disease biologist, and some of that has definitely bled in! The gist is that the world's been changed by some kind of reality-warping event, and nothing works the same way anymore. 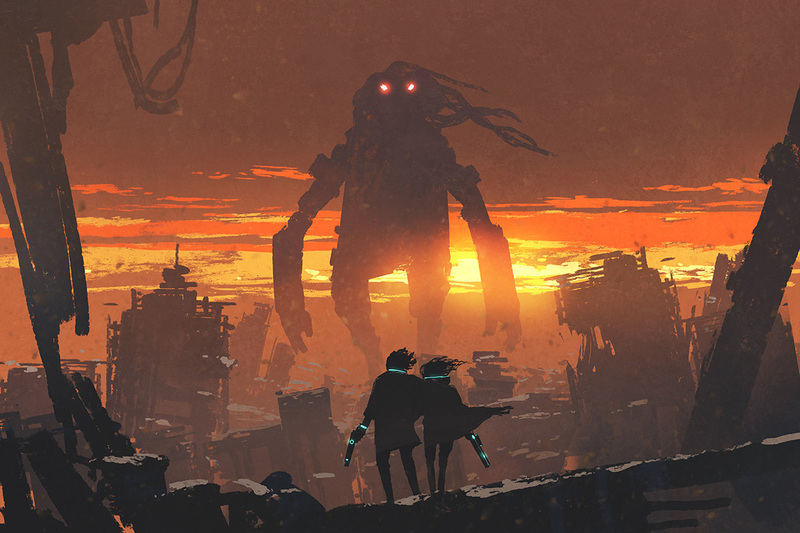 You've survived because you've found or held onto some source of strength - the tech of the old world, a driving passion for justice, a new religion from the apocalypse's fires. But that won't be enough to go beyond survival and start thriving. To do that, you'll need to explore and understand the new world, find things you can use to make your family stronger or deal with their frailties, and become something that can prosper here. So there's a lot of your standard post-apocalyptic tropes: the playbooks are based on common archetypes in post-apoc fiction, and your group can pretty easily make their own version of anything from Planet of the Apes to Mad Max. What Legacy does differently is let you move past the ruins, and ask how the society that people build in this new world has moved beyond their ancestors to create something new. One of the things that really got to me in the most recent Fallout game was that it's more than 200 years after the bombs fell and it feels like it's only been a few generations - there are still skeletons and trash lying everywhere, even in the settlements where people live, and it seems like there was a real lack of imagination about people's ability to rebuild. I'm hoping with Legacy to avoid that trap, and give every group the tools to make a society that's weird, wonderful, and evolved to fit the new world. How does the time advancement work in game? Is there mechanical impact, or impact on the environment? As Legacy's powered by Apocalypse World, it's all done by moves! The simplest one is triggered when everyone feels like they're done with the current time period. If someone raises the possibility of moving forward, everyone else either agrees or says one final thing they want to do. Once these are done, the group decides how far they want to go forward. This is completely according to the group's taste - you might want to hop forward only a few years or go a century into the future to give yourselves license to really mix things up. Each player then rolls to see how their families prosper over that time, with the roll based on the balance between the family's assets and weaknesses (more on that later). If they roll well, they get to pick a couple of good events that happen to them - maybe they go through a golden age and learn new tricks, or maybe they create a trading hub and gain some wealth. If they roll badly, they pick some bad events - maybe their family is absorbed by another, and they only break away and regain their own culture a few years before play resumes. Either way, these events change up the family in big ways, adding stat points, new moves, ties to other families and resources they can draw on. They also can change where each family lives, what guiding principles define them, and what resources, opportunities and dangers are lying out there in the wasteland. Finally, you alter the map, adding new features and expanding the safe portion of the wasteland according to the events picked. There's a special way to advance time - building a Wonder. These were directly inspired by Civilisation again: they're grand projects that require you to invest lots of resources, but when they're complete they permanently change the world. As soon as one's complete, you zoom out to outline all the ways it's changed the world. Each wonder has a custom table of good and bad effects that the other families go through, while the Wonder's owner sits back and takes in the benefits. The Wonders in the book are a pretty eclectic bunch - there are things you physically build like The Capital or The Great Network, social efforts like Revolution and Total War, and even finding a new place to live with The Age of Discovery. Each one leaves its own mark on the world, giving a permanent benefit to whichever Family controls them. How do resources work in Legacy, and do they translate over the episodes moving forward in time? Legacy has a pretty simple resource system. Your family will have Surpluses of certain resources (e.g. Land or Morale) and a Need for others (e.g. Medicine or Trade), with the balance between those setting your family's overall Mood. As your character takes action in the fiction you might gain surpluses from finding a cache of resources, lose a need by addressing its root problem, or trade surpluses with other families to deal with your needs. Each surplus helps define your family's strengths and gives your character better gear; each need tells you what the family needs you to focus on, and gives your GM a stick to poke you with. Other than that they don't take an active role, only kicking in when the balance between surpluses and needs goes past a certain extreme. Too many needs and your family falls into crisis; more surpluses than you know what to do with and you're flush with resources and get some bonus for the rest of this age. There are also consumable resources - Tech is the weird devices left over from the old world, and can be spent to boost your family's chance of success or give characters a unique ability with limited uses. Data is your knowledge about the new world, and can be spent to boost your character's actions or add new elements to the map. These flow more quickly in and out of your stock as your characters discover things out there in the world and use them to your advantage. Finally, there are the treaties you have with other families and factions. These work a lot like Monsterhearts' strings - you'll have a stock of them for each other group, and can spend a point of Treaty to get a faction to do something for you or take their resources for yourself. You can freely give other people Treaty on you as a bargaining chip, but each Family playbook also has their own thing they can do to take treaty on others - the Enclave of Fallen Lore gets it when they show others how to use their technology properly, while the Servants of the One True Faith forgive others of their sins. That way you're incentivised to keep getting out there and meddling in other people's affairs so that you can call on their help when you need it. All of these stay with you as you move forwards in time, although they can change their context - Surplus: Transport means something different when a horse and cart is state of the art compared to a few centuries down the line when everyone's riding jet bikes. Thanks so much to James for the interview! 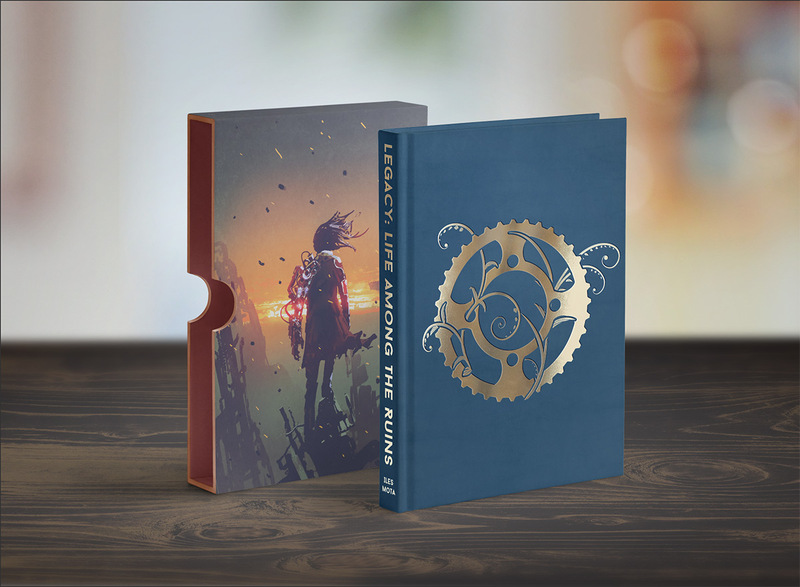 I hope you all enjoyed learning about Legacy: Life Among the Ruins and that you'll share around the interview when you check out the Kickstarter today! Hey all! Today I have an interview with the fantastic Grant Howitt on his new game Spire, created alongside his cohorts Mary Hamilton and Chris Taylor from Rowan, Rook & Decard. Spire is currently on Kickstarter, and has some mad cool art. It's got some themes I dig, so when Grant asked about an interview, I was stoked. Check out the responses below! 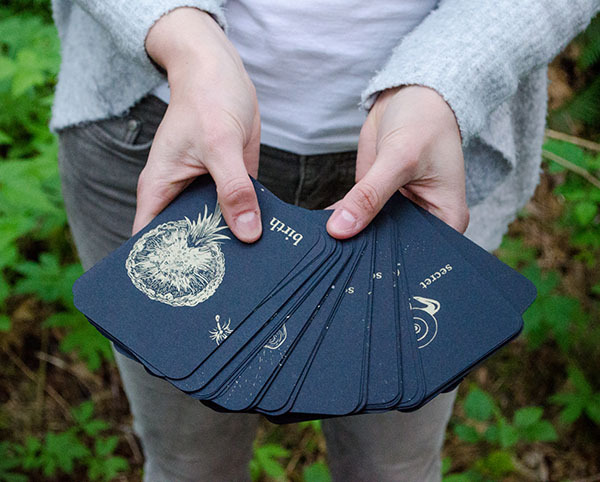 Tell me a little about Spire. What excites you about it? Here's the elevator pitch: you play a dark elf in a city ruled by high elves, and the high elves are cruel and uncaring and powerful and you're downtrodden and your culture is being eroded, day by day, so you decide to fight back and subvert the high elf rule through shadow war and insurrection. It's a storygame, in as much as it has a system which focuses more on abstraction than simulation, and we've tried to write it around making it as easy as possible to tell the sort of dark, desperate stories we envisage coming out of the setting. The thing that's exciting me now is, weirdly enough, the minutiae; after writing so many short games (or, like Unbound, games which don't use setting at all) it's wonderful to be able to really luxuriate in a world and poke around in its corners. I got to write a section detailing the different kinds of goats you get in the city of Spire, you know? And I don't know if anyone will actually use that in their games, but I think that it all adds to the ecosystem of the thing, that it all supports itself. It's been interesting to see how people have already taken to the setting. Where did you pull from for the setting - from media and from your own experiences in games and otherwise? We've drawn inspiration from all sorts of places. 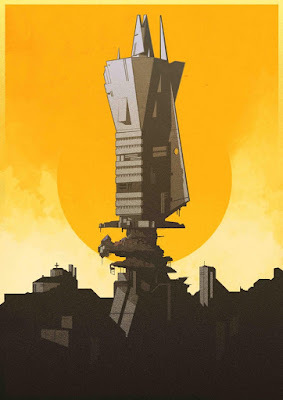 Off the top of my head: Unknown Armies, Perdido Street Station, Gormenghast, Necromunda, and Dredd have all been influential. I've also been fascinated by depictions of Kowloon Walled City, in terms of how humans can rebuild and repurpose spaces in desperate times for their own ends. (Something about the idea of building something in a space meant for something else really fascinates me.) As far as the look and feel of the thing goes, we've looked to the Brutalist movement of the 1960's/70's to inspire our architecture; lots of harsh lines, big angular shapes, jutting concrete. We've also drawn heavily on our love for cyberpunk - Neuromancer is one of my favourite novels - to inspire us, but we've replaced technology with religion. A lot of the game is about control over religion, and in a fantasy world where clerics can perform actual provable miracles, you start veering into cyberpunk territory pretty quickly. What are the benefits to a D10 system for this kind of game? How does it make the action appropriate to the themes and setting? It's the one we settled on, really. 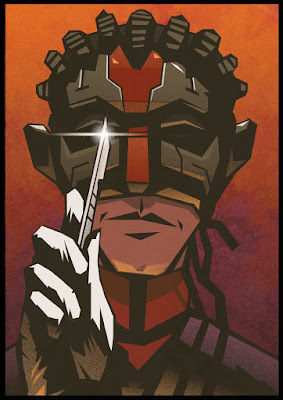 We wrote no fewer than fifteen systems for Spire, trying to find one that was smooth enough to run without getting in the way but granular enough for us to write specific rules for characters, gods, etc; we had a playing card system, we used D20s, we used D6 pools, and so on, and so on. We tried everything. As we went through our first playtests, though, it became pretty clear to me that the system we were using wasn't working, and I wanted something with more streamlined rules that the GM could run without really thinking about it. 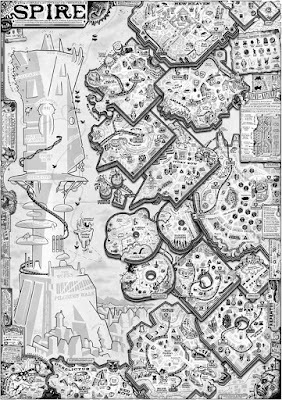 The reason we ended up with a D10 system is that we didn't want to, and couldn't really, write rules for every single thing in the city. 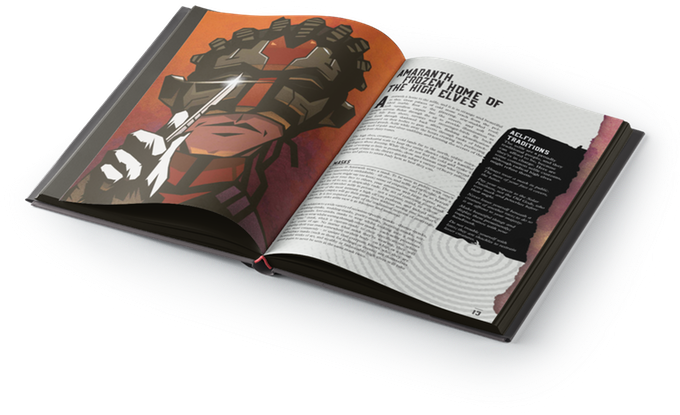 We wanted to leave a lot of it up to the GM to determine, because everyone's game is different; and therefore rather than writing a comprehensive and perhaps unwieldy ruleset, we opted for something that GMs can grok really easily and then get on with the business of telling stories. How do you see stress working out in playtests? What emotional experiences do the players have with it, and how does that match your intent with the design? Honestly, I'd like to see more characters going mad and dying, but we seem to have quite lucky players. Stress is interesting; it rewires everything bad that can happen to you into a single number, so there's kind of a floating badness behind a character with high stress - a high potential for something going really wrong. One thing we've tried to do is make sure that fallout, especially severe fallout, pushes the story forwards rather than stopping it. We don't want to punish people for pushing their characters past the breaking point by removing them from the story; we wanted to reward them with more story, but not necessarily a nice story. As far as concrete examples go... we had one character use his sacred rope to bind a door shut so no-one could open it (and thus escape from the massacre inside that the players had set up to assassinate a corrupt bishop), and as he watched blood pool under the gap, he developed a lasting phobia of doors. We had another group summon, and then sacrifice, a river god to power a ritual, and in seeing the river god come to earth our Azurite (a type of trader-priest) went utterly mad. I gave him the option of surviving if he betrayed his friends on behalf of the new god, and to the player's credit, he immediately launched himself off the side of Spire and crashing down into the docks below than risk staying alive a minute longer. Those two really stand out for me. What is the most challenging thing you've encountered with the path of design to funding? Have you had to rethink a rule shortly before the Kickstarter, and if so, how do you resolve that? 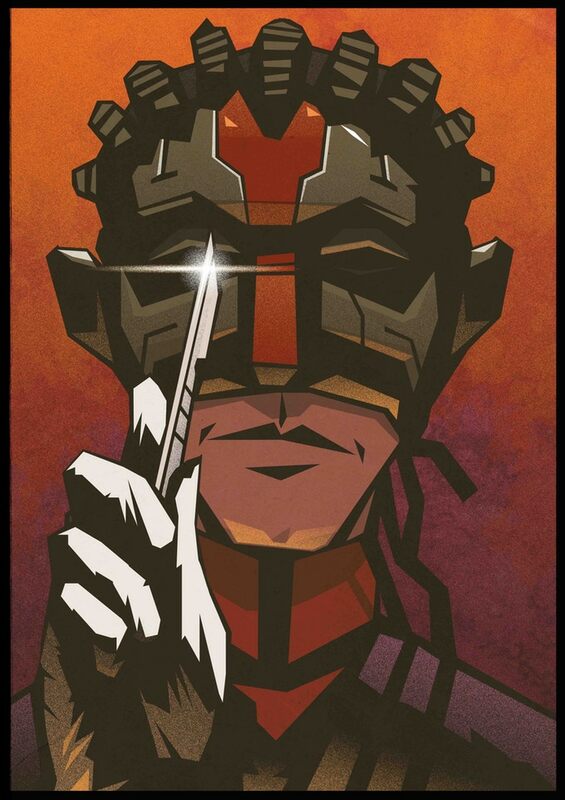 We're rethinking and tweaking rules all the time; we invented an entire class (the Firebrand) about a fortnight before the campaign began because I felt like we needed to give players some more room to manoeuvre. Luckily, by now, we've got a feeling for the system and setting which means that we can intuit rules fairly easily now without the need for extensive testing. We actually rewrote the equipment rules earlier this week; in the quick-start rules they use a level system, and if the level of your item is higher than the level of the area you're in, you get an extra dice to roll... and I dunno, it worked, it just didn't sing to me. It wasn't doing what we wanted with equipment, which was to use it to help portray the character who's carrying it. So now we've scrapped the level system and switched to a more narrative thing, where (non-weapon/armour) equipment is either mundane and it just lets you do the thing, or it's special and you name a positive and negative aspect about it that marks it out from every other item of its kind in Spire. It gets players thinking more about their equipment choices and pushing the story forward to their specialties, which I like. Who are some of the characters you've seen in play, NPCs or PCs, that you think embody The Spire as a story and setting? We've had a hired killer who packed it all in and joined the community-focused church of the light side of the moon; we've had a towering glamazon with an Amy Winehouse beehive and a sacred hyena chained to her wrist; a rough-and-tumble Knight of the North Docks (think a sort of feudal mafia) whose player decided that all Knights are in fact women wearing giant codpieces and dressing up as men, and more power to her because that's a brilliant idea; a Firebrand espousing Marxist ideals; and one guy who, when he was held at gunpoint, about to be sacrificed to a hungry god of vengeance, managed to convince the ritual leader that there was a better life for her with him - and the pair of them ran away and now live unhappily above a pub. How does religion work mechanically, at least in a vague sense, in Spire? I'm curious about the application! Each class has a Refresh ability which they use to remove stress - and in the case of religious characters, this is tied to their faith. 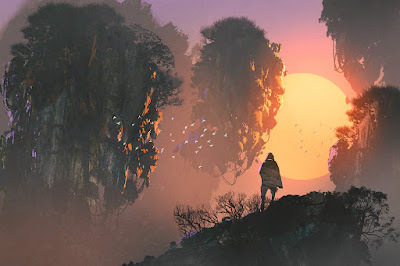 The Lahjan, moon-clerics, remove stress when they help people who can't help themselves; the Carrion-Priests remove it when they complete a hunt; and so on. We've also got a few additional abilities tied to minor faiths - not minor in the sense of power, but minor in the sense that we didn't feel that there was enough material to build a whole class around them. Anyone who fits the prerequisites can access these abilities, and with them they get an additional Refresh ability. Thanks so much to Grant for the interview! I hope you all enjoyed reading about Spire and that you'll check out the Kickstarter as it's rounding up to finish soon! 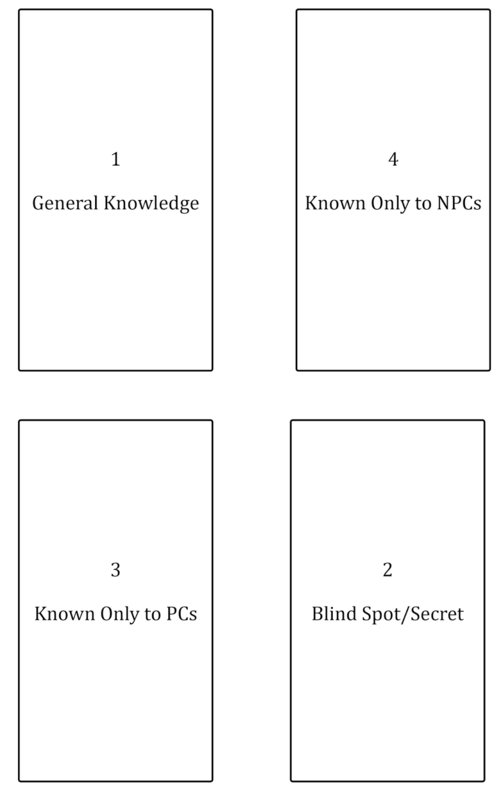 A few months ago I found Allie Buston's A GM's Guide: NPC Generation so I asked a few questions (as I do). Here's what Allie had to say, and some pictures to support it! 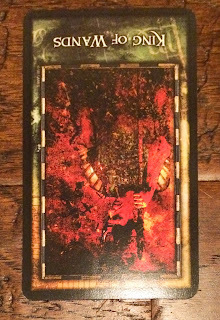 Tell me about your NPC tarot generation. What excites you about it? Well, there’s a lot of ways to generate NPCs. Tables and dice rolling, making them like PCs, pre-gens in books. But all of these, for me, end up feeling flat and two-dimensional when you’re trying to make a bunch and fill a world. So this all started with a game of Vampire the Masquerade 20th. I had my deck sitting in front of me and decided to pull a card. And suddenly, my NPCs had motivations and methods to them that helped round them out! That’s the most exciting part for me: I can quickly figure out interesting NPCs and my players get a more interesting and immersive world with people in it instead of flat cutouts. How do you interpret the cards for characters? 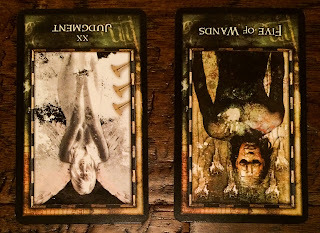 Is it themes, or pulled from tarot lore? A lot of interpretation is based on what the situation calls for. 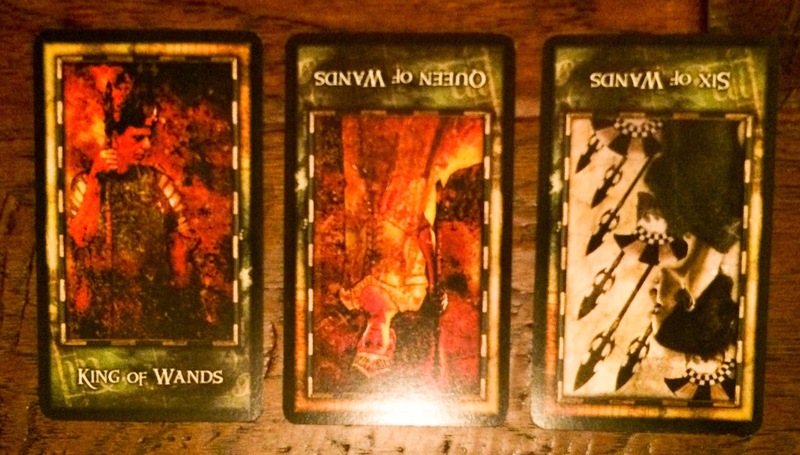 I use both the Archeon tarot and Golden Thread and both have pretty good guides for meanings. For instance, one of the first times I tried this, I made an NPC in V20. I had no ideas for him and he was basically a plot hook but I wanted him to be interesting. 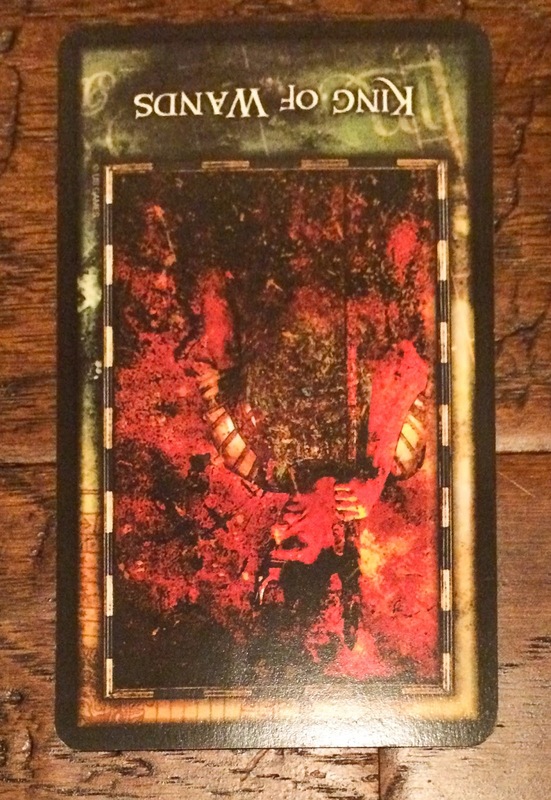 I pulled the Six of Wands inverted, Eight of Words, and the Fool for past, present, and potential future then cards for sources of these where it was needed and a plan for the future and present. He turned out to be a well-intentioned jock with a troubled home life that kept being in the wrong place at the wrong time but found by the right people that allowed himself to run with what life handed him. Way more than what a table could have ever given me and so much to work with in play. You've mentioned that you're working on GM tools. What are you currently doing on that project? For the GM tools project that expands on this whole idea, I’m testing out spreads I theorized to make sure they actually work and making graphics for everything. It’s been pushed to the backburner a bit admittedly. Could you expand a little on what the GM tools do - what the purpose of the spreads are? The GM tools are just meant as an alternative to tables and things found in GM guides and supplementary materials. Or something you can use in conjunction. It’s like having multiple methods to solving the same math problem. 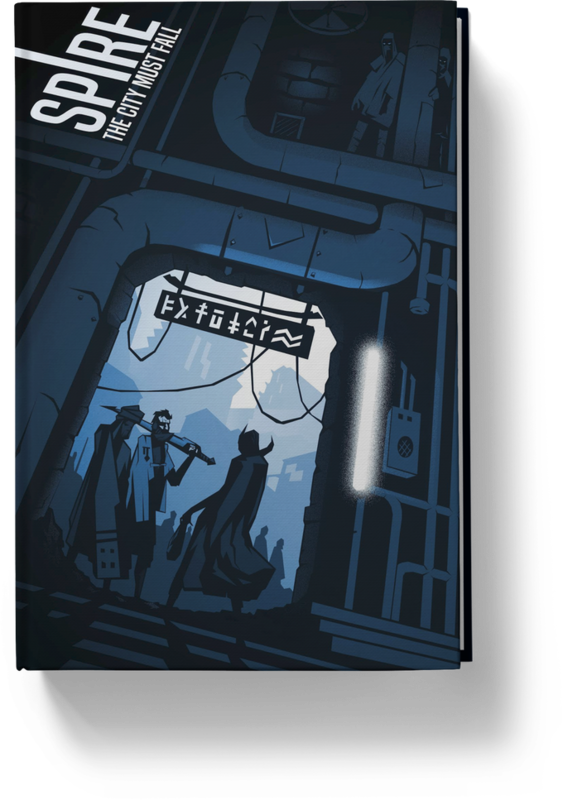 The spreads cover things from NPC and World generation to Stars Without Number-style GM turns to figuring out what to do for a session. Like I said, just different ways to solve the math problem. 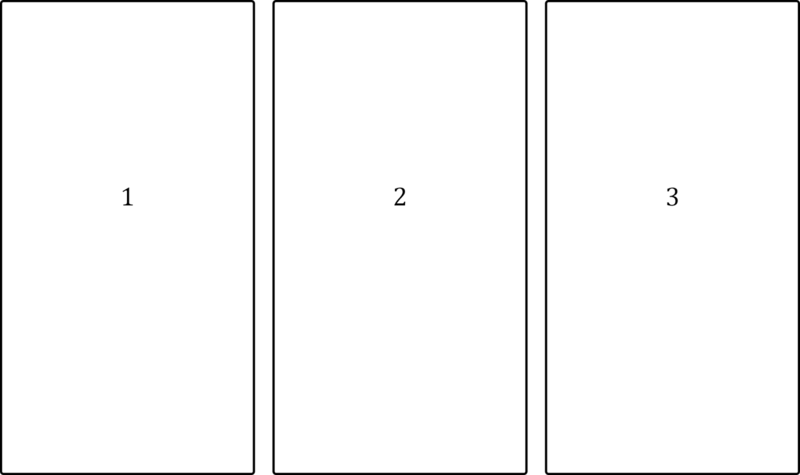 What would an example be of a spread you would use for a GM? One spread I really liked and that kind of surprised me with how well it worked out. 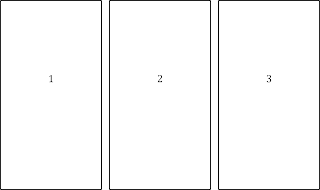 It’s a four-card spread for one-shots. It gives so much potential information for a world very quickly. 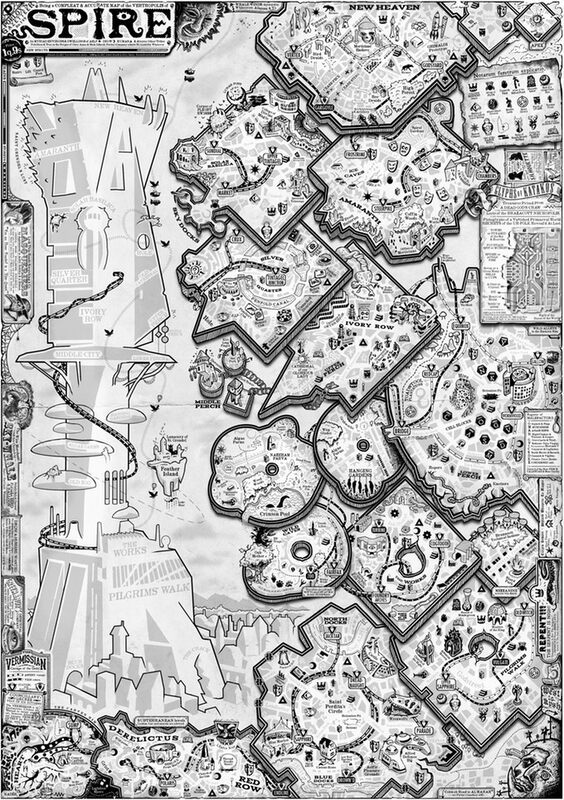 I used it to help a friend make a Dungeon World one-shot that turned out pretty well. I want to test it more but it pleased me so much. How have you tested the tools - have you used them in different games, with different people, etc.? Most of my testing has been a mix of practical testing in games and theoretical testing of how things might work. The practical testing has been in different systems and games: Vampire, Dungeon World, Monsterhearts, and some D&D. The groups haven’t been as diverse as I’d hope but I’ll keep using these and testing. Hello! Today I have an interview with Ross Cowman and Mo Golden on Night Forest, which is currently on Kickstarter. The game looks fascinating and I've heard really cool stories about it, so I hope you enjoy what they have to say! 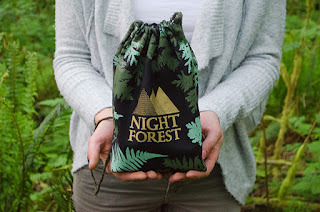 Tell me a little about Night Forest. What excites you about it? 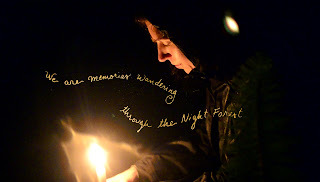 Ross: Night Forest is a ritual game where we play wandering memories. It is a practice in self reflection, embodiment, and deep witnessing. Mo: As for what is exciting, one thing for me is our collaboration and the meeting of our two disciplines and perspectives. I think it is a jumping off point for more interdisciplinary collaboration. Ross: Yeah! Totally. I feel like watching your work in expressive arts has really inspired me to pay more attention to transitions and the process of immersion. This had a big impact on my work Fall of Magic and it is great to be able to now design something together. What inspired you to make a game about memories, especially ones that can be forgotten? Mo: There's so much that happens in our lives that we forget. By working with embodiment and evocative images, we can often retrieve what has been forgotten, which is really powerful and inspiring to me. Night Forest offers an opportunity to look at what we remember and what is lost. Ross: We wanted to create a space where people could share things about themselves that they don't normally have cause to share. There is something precious about these rarely visited memories. Ross: The candle does a lot of work in Night Forest, it creates an intimate space, it constrains your movement, it requires care and is actually kind of a burden. Becoming forgotten is a relief of that responsibility and also of the responsibility of having to share and explore your memories. Now you just listen. Mo: The flame is alive and has to be cared for. It slows us down and focuses us. I wonder if it could be played remotely... My concern with that has less to do with the candle and more to do with moving around. Movement and having a physical experience are central to this game. I would be curious to see how that could work virtually. How do you see players interact with each other when they share their memories, and do you see much variety in the memories they share? Mo: There's a ton of variety, which is cool to watch. Even with the same card, there are infinite possibilities. It's a very personal and intimate experience, yet somehow really accessible. There's a tenderness I see in people while they're sharing. Ross: There is a lot of listening and smiling and serious looks. For me it has been a reminder of how much we can still communicate without our voices. How much we can connect with just our faces and our energy. How did you design the content of the cards, as well as the appearance, and make them seem coherent and consistent? 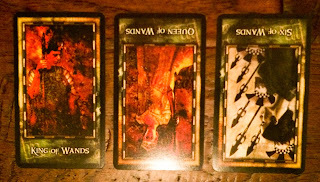 Ross: The cards and images are designed to pull at each other. Contrast is a source of energy in nature, and it is the same with our imaginations. Mo: I loved illustrating the cards. It was like swimming through a dream, making associations and letting myself be surprised by my pen. 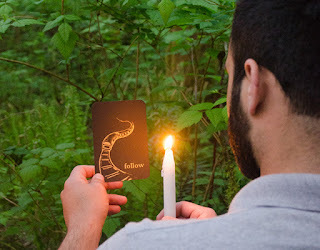 The choice to use black paper and metallic ink was so that the image would shine in candle light. The over all aesthetic takes players into a dark, wooded, magical place... even if they're looking at the cards in an office building in the middle of the day. Thanks so much to Mo and Ross for their responses to my questions! I hope you all enjoyed reading and that you'll check out Night Forest on Kickstarter now!